“It is my love for nature and the environment that brought me to this state. I truly believe that Colorado is the most beautiful place in the world. I fell in love with Steamboat Springs since the first day I saw it when I came to learn how to ski. " "I have wanted to be a dentist since I was nine years old. I love what I do. Whether I am creating a new smile for someone who desperately needed to improve self-confidence or getting someone out of pain - helping people is truly the most uplifting aspect of my field." "Treating people the way that I would want to be treated plays a very important role in my job. I recognize that every patient has different needs and listening to what they are as well as making patients comfortable is my highest priority. " Dr. Jeffrey Bryant Piaskowy (Dr. “Pi”) was born and raised in the suburbs of Chicago, Illinois. During childhood, Dr. Pi became interested in dentistry as a result of wearing braces for seven years. The close relationships with his dentist and orthodontist soon resulted in the decision to focus on dental/medical studies. In addition to science courses, Dr. Pi decided to pursue his interests in other fields. In 1995, he received his Bachelor of Arts degree in Political Science and was accepted to Southern Illinois University School of Dental Medicine. In 1999, Dr. Pi earned the degree of Doctor of Dental Medicine (DMD) and became licensed in the State of Colorado. Dr. Pi is a member of the American Dental Association and Colorado Dental Association. While in dental school, Dr. Pi participated in many community based programs to include oral cancer screenings at local retirement homes and provision of dental care to children from low-income families in East St. Louis, Illinois. His volunteer work continues in Colorado with the Donated Dental Services program as well as Smile-a-Bration. After graduation, Dr. Pi started his work at a state-of-the-art practice in Greeley, Colorado which allowed him to gain broad experience in all disciplines of dentistry to include endodontics, periodontics, oral surgery, prosthodontics, pediodontics, as well as restorative and cosmetic services. 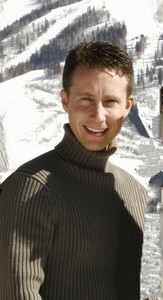 In February of 2002, Dr. Pi opened his own dental practice in Steamboat Springs, CO. At AvantGarde Dental, PC, Dr. Pi offers his patients a full range of preventive and restorative dental services for adults and children to include oral surgery and endodontics with a special emphasis on cosmetic dentistry. Among many personal interests, Dr. Pi is fascinated with other cultures. In 1993, Dr. Pi met his wife, Ewa, who is Polish. The experience of visiting Poland and meeting people from other countries has been of great importance. Together, the Piaskowys share their love for health and outdoor activities - traveling, camping, hiking, mountaineering, skiing, and sailing. They treasure close personal relationships with their families and friends and enjoy the company of their adorable pets (Febe - German Shepherd, Katie - black cat, and Maya - Alaskan Malamute). They also like books, computers, and philosophical conversations.